NEW YORK, Dec. 11, 2017 /PRNewswire/ -- JW Michaels & Company, the fastest growing executive search firm in New York City, as determined by Crain's, has released their much anticipated annual Financial Services Market Data Report for 2017. The data in the report represents compensation for various executive positions of top-tier financial services, accounting, legal, technology, and business institutions. 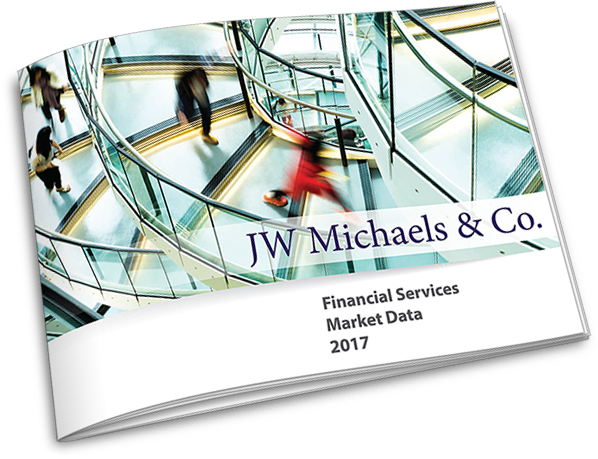 The JW Michaels & Co. Financial Services Market Data Report 2017 represents compensation for various executive positions of top-tier financial services, accounting, legal, technology, and business institutions. "We believe that educating our constituents on the current compensation levels in the areas we serve will help our clients to be more informed when they decide to hire a candidate," said Jason Wachtel, managing partner at JW Michaels & Co. "This report will also help our executive job seekers make better career decisions." 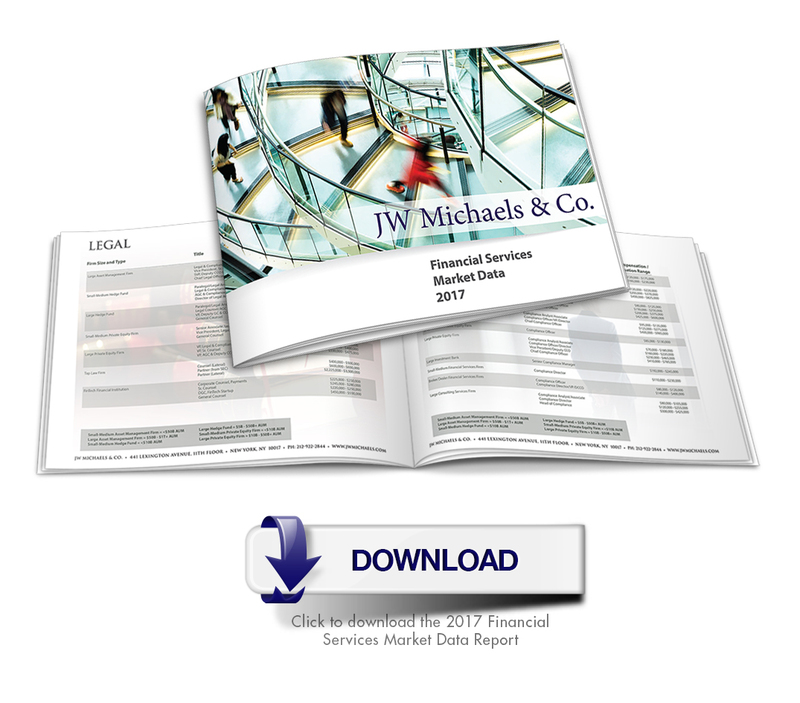 The compensation data in this report was compiled by JW Michaels & Company based on completed placements made by the executive search firm in 2017 at its offices in New York City, Parsippany, NJ, Houston, TX, Atlanta, GA, Denver, CO, and Chicago, IL. Candidates were placed with clients located throughout the United States and the positions were not limited to JW Michaels' office locations. The report presents compensations grouped by size and type of firm as well as by job title for compliance officers, general counsel, patent counsel, IT, legal and risk management executives with investment banks, law firms and Fortune 500 companies in every industry. The goal of this report is to educate on the current compensation levels to help firms in the alternative asset management field hire better candidates and to aid executive job seekers in making better-informed career decisions. 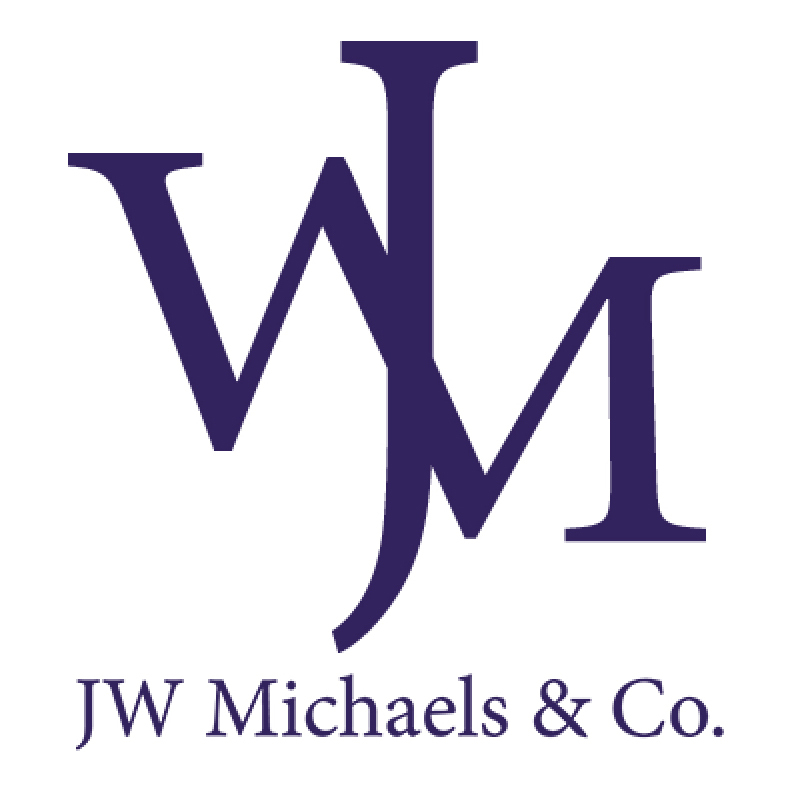 JW Michaels & Company is a national executive search firm dedicated to serving the specialized recruiting needs of top-tier financial services, legal, technology, and business institutions. We place compliance officers, general counsel, patent counsel, IT, legal and risk management executives with select investment management firms, hedge funds, investment banks, law firms and Fortune 500 companies in every industry. The scope of our services is always tailored to our client's individual needs. With nearly 50 years' professional recruiting experience, our commitment to excellence has allowed us to act as a trusted advisor and partner to help our clients meet their hiring needs by sourcing the best in professional talent. No matter the role, our recruiting process is as accurately targeted as possible – exactly what you need from an executive search agency. For more information about JW Michaels visit: http://www.jwmichaels.com/.